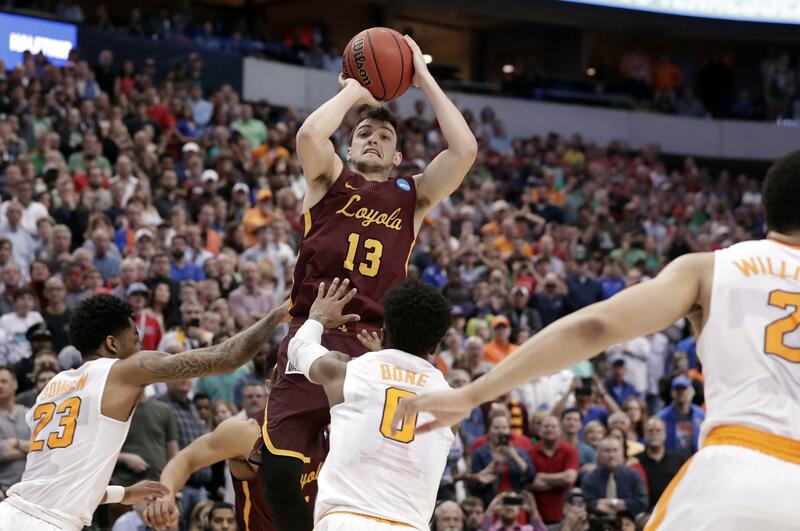 UPDATED: Sat., March 17, 2018, 7:38 p.m.
DALLAS – Another NCAA Tournament prayer answered for Loyola-Chicago, and the Ramblers are set to bring Sister Jean to the Sweet 16. The Ramblers (30-5), who won the Missouri Valley tournament, broke the school record for wins set by the 1963 NCAA championship team. Loyola will play the Cincinnati-Nevada winner in the regional semifinals Thursday in Atlanta. A last-gasp shot from the Vols’ Jordan Bone bounced away, and Custer threw the ball off the scoreboard high above the court as he was mobbed by teammates in the same spot that the Ramblers celebrated Ingram’s dramatic winner. Late-arriving fans waiting for crowd favorite Texas Tech in the late game joined the raucous Ramblers supporters wearing maroon-and-gold scarves and standing almost the entire game in sections across the court from their team’s bench. Published: March 17, 2018, 6:11 p.m. Updated: March 17, 2018, 7:38 p.m.